Can't get your door open? 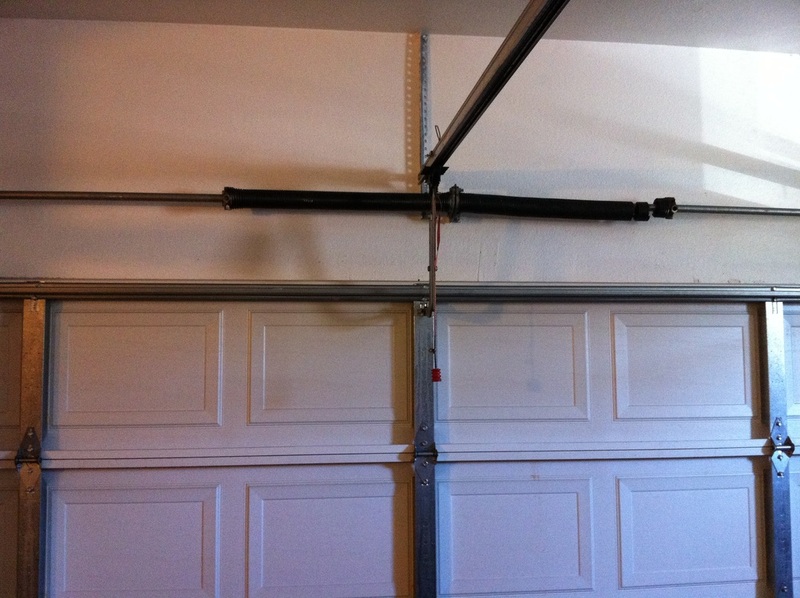 The most common reason your garage door won't open, is a broken torsion spring. 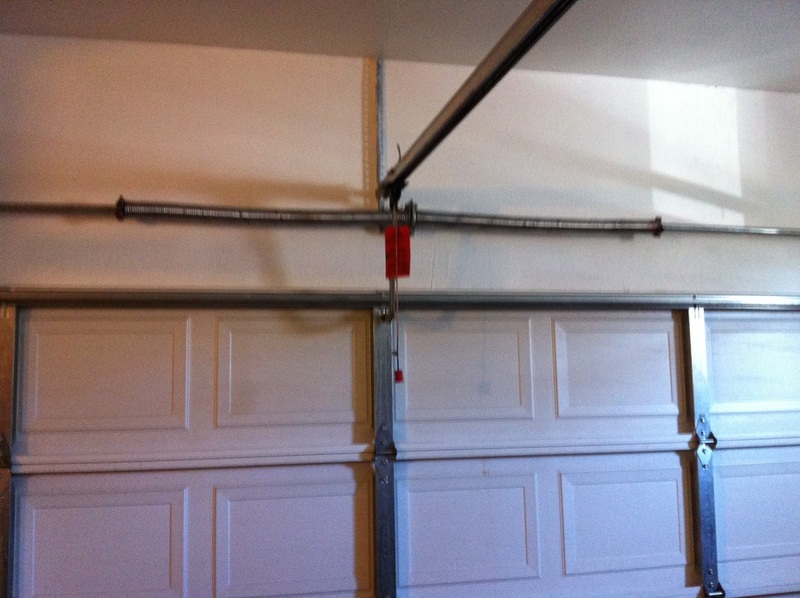 Did you know that you garage door spring provides the lifting force to open your door? Read on for more info. 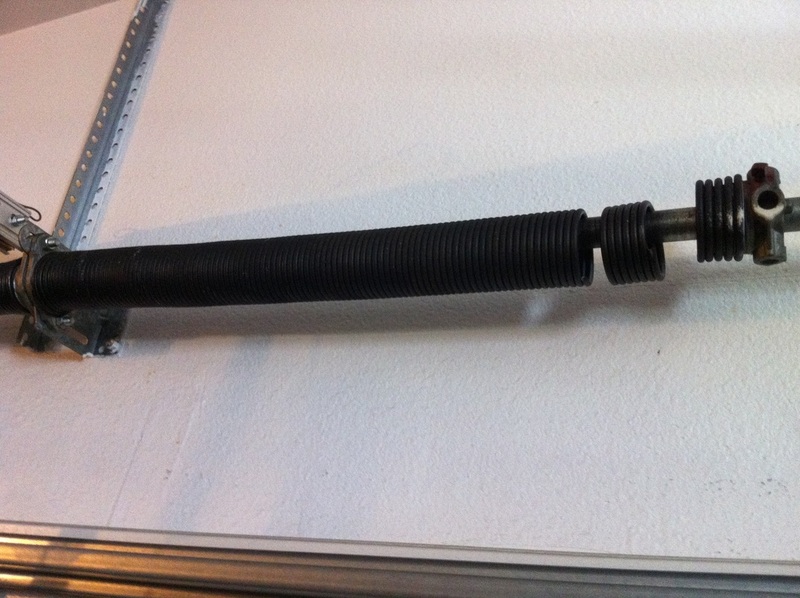 This is what a garage door torsion spring looks like when it is broken. To locate your garage door torsion spring look 12 inches above the top section of your door when the doors closed and you will see two large coil springs about size and length of your arm. Sometimes they are a black color and sometimes they are a silver color but torsion springs are always mounted horizontally above the top edge of your door. ​ Torsion springs break, as a standard, roughly every five years based on a standard cycle spring. If you are a home owner, you can expect to change your garage door springs at least two or three times in your lifetime. To get a spring to last longer than five years, you should consider getting a high cycle spring. This is what the same torsion spring looks like up close. The primary function of a garage door spring is to balance the weight of the door against gravity with power wound into it. Then when a spring breaks, that power is released and gravity takes over. When the garage door spring is working properly a 200 pound door would feel weightless, but when one or both springs break you will feel the weight when you work the door manually. The result will be that the door will be too heavy to lift by yourself or the opener because a standard garage door opener is only designed to move the door with 10 pounds of pressure. The torsion spring by design is still one of this safest in the industry. If you notice it is wrapped snugly around the tube and even though the spring is broken in multiple places it still stayed secure around the torsion tube. In case of emergency, you can still open your garage door by hand with a very strong friend lifting evenly or by activating the garage door opener and helping it lift at the same time, but these methods are not recommended because your door has to come down and it could get stuck halfway or come crashing down. Your best bet would be to call a service professional that is dedicated at same-day service and repairs. Other reasons why your door would not open may have to do with the opener force, lubrication or other binding issues that we can help you determine over the phone. Call Us. If you have a broken torsion spring or your door will not go up at all, call us right now. We have a trouble shooter standing by to answer any questions and give you pricing before we ever come on out. (888) 62-DOORS or (888) 623-7766.